With Autumn tipping its head over the garden fence and the English country-side ripening its colours; reds, yellows and oranges abound, making Autumn most certainly the best time of year to have an outdoor event. Summers can be unpredictable, with the potential for severity of heat which makes for discomfort, or unexpected rains can descend at any time. While in the UK we are famous for not letting the weather dampen the party, winter-time can bring with it storms which can rattle the most spirited patrons. So why not chose autumn to celebrate special occasions. A perfect Autumn wedding is not complete without a romantic marquees to help you set the scene. With the marquee as your blank canvas, you can literally set the stage for your special day. Choosing a marquee for your special day allows you literally chose your space and decorate it accordingly, be it an intimate affair or a glorious display of grandeur that you are looking for, a marquee will give you the ability to create just that. For those wanting something more traditional, our 4x8m DIY marquee is widely regarded as the most versatile of all of the marquees and priced to match the pocket of anyone looking to create magic on that special day. Our marquees are the perfect buy which when you know that the life-span of PVC is twice that of PE or canvas and are excellent for any season of the year as you have the option of using high-frequency welding (rather than stitching) to make a completely waterproof and reliable shelter. Not only do we sell heavy duty marquees but we offer many additional services as well, which means that you can source everything in the same place, saving you both time and energy. Should your day require that you have flooring laid, simply chose your colour on the website and this will be included in your delivery. Delivery is optional as you can collect from Dorking if you are looking to save on costs. However, we do deliver within and around the UK. A 30cm wide, 16m long guttering kit will automatically be added free of charge to any multiple orders. Marquees can also be financed! One of the services that we are most proud to be able to share with anyone looking for commercial marquees, is the ability to try out all of our marquee sizes and styles, using our interactive planner. Simply choose the size of your marquee and partner it up with another marquee of your choice. Walkways can be used to connect more than one marquee or simply as the entrance to your marquee design. The interactive website allows you to mix and match and plan your design which you can then save and download for use at a later stage. Or you can simply click on one our many default plans which will help you with your decision. Its seamless and easy and DIY employees are more than happy to assist you with any questions and concerns which you may have. 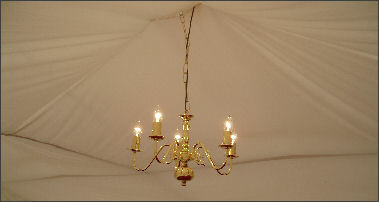 Trust DIY marquees to raise marquees to greater heights. Have you ever considered how much owning a marquee could benefit any business, be they small, medium or large? Business owners around the country buy industrial marquees as the perfect addition for their multiple business, storage and event needs. Any business which experiences seasonal selling would highly benefit from buying a marquee as a temporary or permanent option to their storage needs. When business is booming and products are piling up around and outside the store room, employees are squeezing themselves in and out of passages and corridors lined with boxes, its time to consider buying an industrial marquee. Using a marquee as an alternative to building a storage area is a resourceful way of avoiding high costs of building, not to mention the stress and strain involved with dealing with architects, building contractors, electricians and the like, in the process. No permission is required to erect a marquee which means no building inspectors on site slowing the process down. And in slow seasons, you save money by not having to sit with a half empty storage room. Simply take your marquee down and stow away for the next influx of business. And should there be an unexpected increase in production during non-peak times, simply erect the marquee in a few hours and start saving space in your warehouse for easy collection and distribution of your goods. Wondering where you can purchase a pop-up marquee for sale? Look no longer as DIY marquees has every marquee in any design you could possibly need for your business, as a suitable alternative to any business need. No matter how big or small your prerequisites are, there is a suitable marquee to make your business run smoother and grow. Multi-purpose pop up marquees can also be used for business events, such as team building, large meetings or conferences. So when your stock has all be bought and you are ready to celebrate a good years’ production and performance with your staff members, throw them a celebratory big bash in your DIY marquee. Simply decorate accordingly, lay the suitable flooring for the event and add tables, chairs and music and you have the perfect solution to your annual event. Consider the same as you begin to wrap for the year and start to regroup for the up-coming production year. What better way to introduce new clients to your new product release or re-branding than with the event of the season to show case all your innovative business ideas by hosting networking event? And what a cost saving you would benefit from by being able to use your marquee for all of these purposes as and when you required. There is no denying that the value of owning your own business marquee is priceless. With no many uses and functions waiting to occur with the assistance of your business marquee, we would encourage you to contact DIY marquees immediately and buy industrial marquees now.